5 minutes walk from Koenji Station. 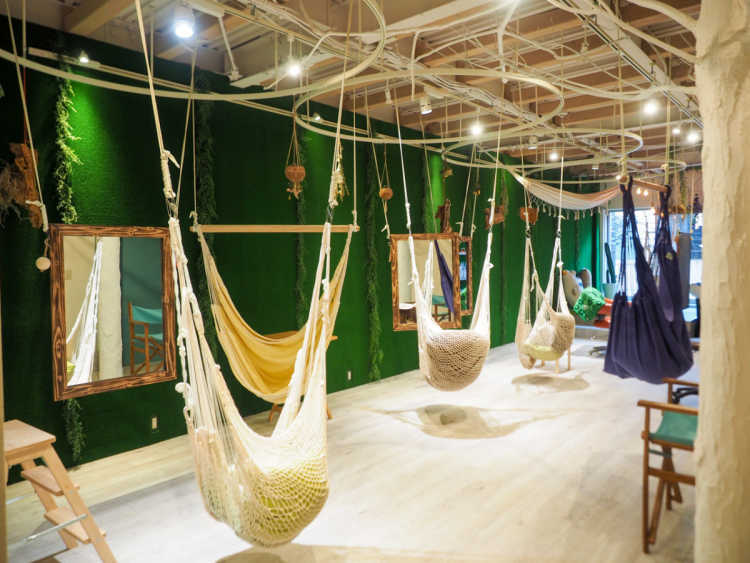 You can feel relaxed in hammock at this hair salon. Let's try the new experience of getting haircut and head massage! There's also a room for nap.